At 5am on a Saturday morning there’s a knock at the door. It’s our ranger, Gift, who’s waiting with freshly squeezed orange juice, coffee and tea, prompting us to get up before the sun has risen and to go and explore the Okavango Delta – one of Africa’s most majestic destinations. The night before we’d seen cheetahs, elephants, buffalo, giraffes, hippopotamuses, zebras and several lions wandering the plains surrounding our lodge, the &Beyond Xaranna Okavango Delta Camp, which sits on a Delta island within a 1.2-million acre exclusive wildlife concession in Botswana. 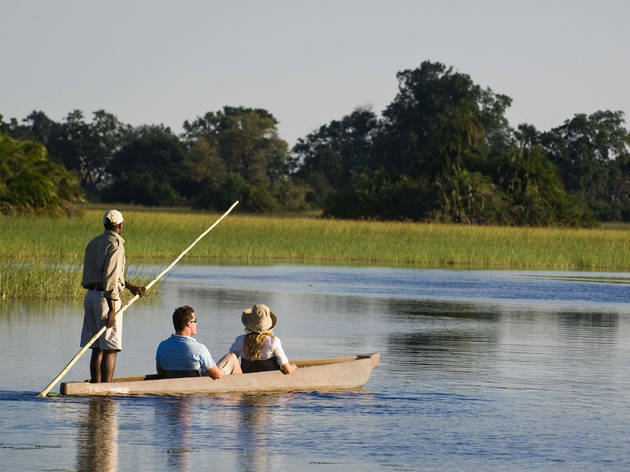 Here, there are only up to 20 guests at any one time, so when you are out on a game drive, or on a boat trip on the Okavango Delta or a helicopter flight over it, you’ll rarely see any other guests, unlike many of the safaris in Southern Africa. Even by the fire at dinner each night, you’ll still feel like you have the lodge to yourself, with no other lights to be seen anywhere in the distance. Today is going to be different to what we’d seen over the last two days, though, as we are off on a secret mission to find one of the white rhino that have been transferred here by parent company &Beyond from sister property &Beyond Phinda Private Game Reserve in South Africa, as part of the Rhinos Without Borders project. 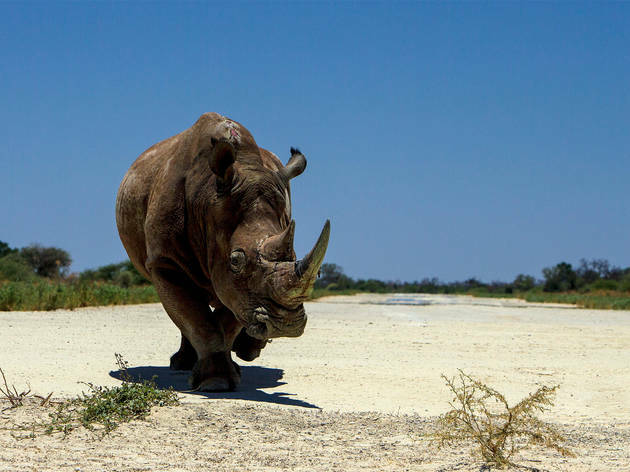 With the rampant poaching of rhinos (in 2015, more than 1,175 rhinos were killed in South Africa alone), &Beyond has made it a mission to protect the species from disappearing altogether. Today, it’s a three-hour drive to a part of the concession where Gift understands the rhinos could be, to meet up with armed troops, led by a man named Cecil Riggs. Riggs was born in Botswana and has lived here all of his life. In former times he led hunting safaris in the Okavango Delta; he now runs an anti-poaching business, backed by the Botswana Government. 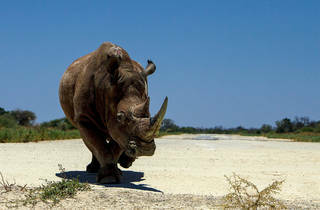 “We are protecting [the white rhinos] all the time,” he says, hopping onto our safari vehicle. “In the beginning there was quite a bit of poaching in these areas, but right now we are not seeing them [the poachers] and we are beginning to win. The poachers will do anything to secure the horn of a rhino, given its value in parts of South East Asia where they can fetch over $500,000 each given many falsely believe they are a cancer cure. And it’s that price that also has Cecil and his team having to watch their backs wherever they go. After another hour driving deep into the now thick shrub, we are on foot and treading very softly, not allowed to make any noise at all, not even from the shutter of a camera, as we are brought as close as we can to see one of these great beasts in the wild. Watching the white rhino sitting down, albeit 20 metres away through scrub, is a mind-blowing moment. With the sun about to set, Gift finds a flat spot to park the safari vehicle. They set up the camping table, loaded up with spirits, beers and wines alongside biltong and nuts – something guests can expect every day at this time. 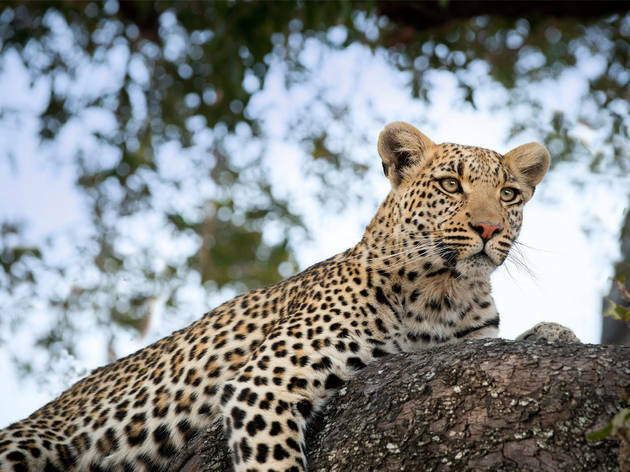 Back at the lodge over dinner, the last day of an incredible week – one that had involved a boat trip on the Okavango Delta, a helicopter flight over it and seeing hundreds of animals roam this concession – finishes in the best way possible. 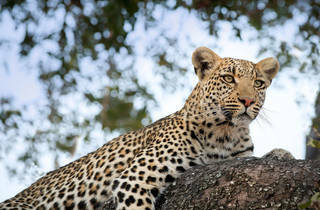 We are able to tell stories to other guests about what we’d seen in the wild, all of them envious we had the chance to see the majestic creature. 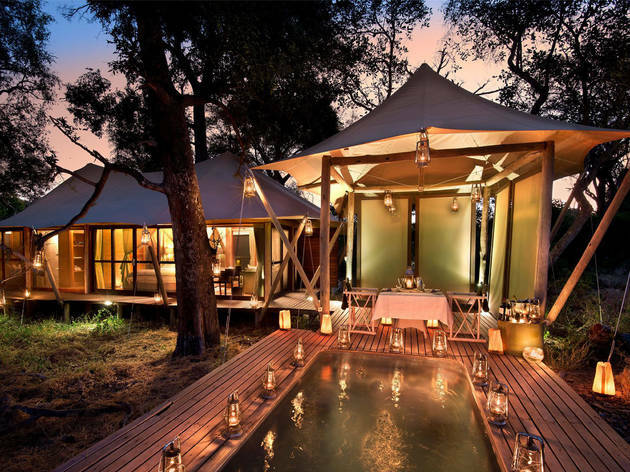 The &Beyond Xaranna Okavango Delta Camp consists of nine luxury safari tents made from canvas and bleached timber that come complete with ensuites that feature bathtub and alfresco shower, plus private plunge pools. 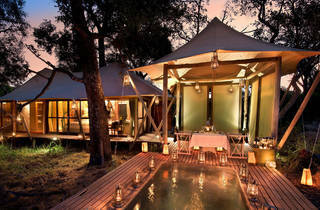 Rates, which vary depending on the season, include three meals daily (including soft drinks, tea and coffee, house wines, local brand spirits and beers and refreshments on game drives), with breakfasts served on the veranda of the main lodge and dinners under the stars in an open-air ‘boma’ by the fire. 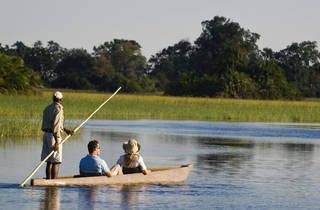 Okavango Delta, Botswana..
South African Airways flies daily to Maun via Johannesburg. Onward light wing connections are organised by &Beyond Xaranna camp. On South African Airways, experience the airline’s leading African hospitality on the flight to Botswana and fares are available to suit all budgets from economy to business class. Stop over at the InterContinental Johannesburg OR Tambo Airport Hotel on the way though.